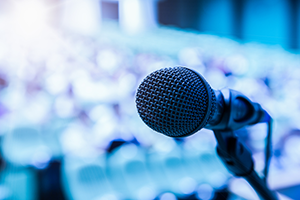 Whether you’re organising an annual conference for your staff, a quarterly sales meetings or an event for your members, finding the right speaker can be tough. You need someone that your audience will love and learn from. A speaker that can inspire, impact and educate. A speaker that will get your audience thinking by offering insights. A speaker who has achieved success and has a track record of delivery, building confidence and expanding comfort zones. Melissa’s reputation as a speaker is built on her ability to share her experience of business networking, making messages memorable and helping people to feel like stars with honesty, warmth, and humour. Melissa is a keen observer of the world around her, with the rare ability to both inspire audiences and leave them with actionable change strategies. We began working with Motem only 6 months ago and have already seen a marked improvement in our sales team’s methods. Our conversion rate for new business has improved to a 30%+ average and resulted in the team hitting their annual target with nearly a month to run.